Do you snag your hand on splintered cabinet doors or feel it’s cleaner to leave your plates and glassware on the kitchen counter, rather than place them in your old cabinets? Do you find yourself bumping into a poorly-placed cabinet every morning? It may be time to switch it up! Like all things in life, cabinets wear down over time and must be mended or replaced, and sometimes what you had before just wasn’t right for your lifestyle or aesthetic sensibilities. 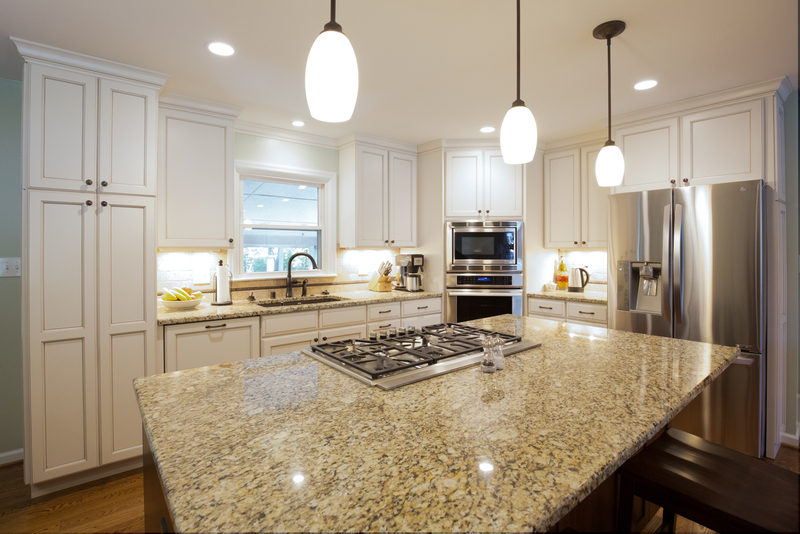 Updating your kitchen cabinets can be an expensive endeavor—usually around half the cost of the kitchen—so it is important to know what you want and get the best value and quality for the look you are going for. If you are happy with the layout of your kitchen cabinets, and they haven’t worn too badly, you might be able to repair what you already have. A fresh coat of stain or a new paint color can give your old cabinets a new lease on life. Likewise, replacing the cabinet veneer, doors, drawer fronts, or hardware can make your cabinets look fresh, just as if you swapped the cabinets out entirely. Keep in mind, doors and drawer fronts are the most expensive parts of cabinets—around 60% to 70% of the total cost of a new cabinet—so it could be more cost effective to purchase new cabinets, which allows you to rethink your layout. Any extensive repairs, such as replacing cabinet parts, should be performed by professionals, like those at BACK Construction. Going the replacement route? You have two options: stock and custom. Starting with the least expensive of the two, stock cabinets are cabinets that come in a variety of pre-made shapes and sizes, but at the end of the day, you have to work with what is available. 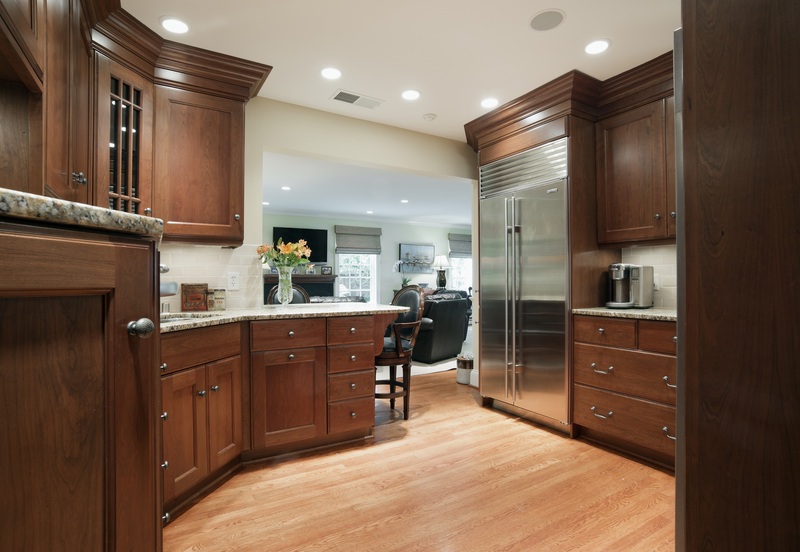 The quality of stock cabinets can vary, but for every pre-made cabinet that is only partially constructed of wood, there are several options that are solid wood. For the majority of homeowners, stock cabinets are perfectly suitable for what they want to achieve, and spacers can be utilized to fill-in unused wall space. While custom cabinets are more expensive than stock cabinets, they offer homeowners the most design options. Custom cabinets allow you the opportunity to design the kitchen layout you want, instead of designing around stock cabinet specifications. 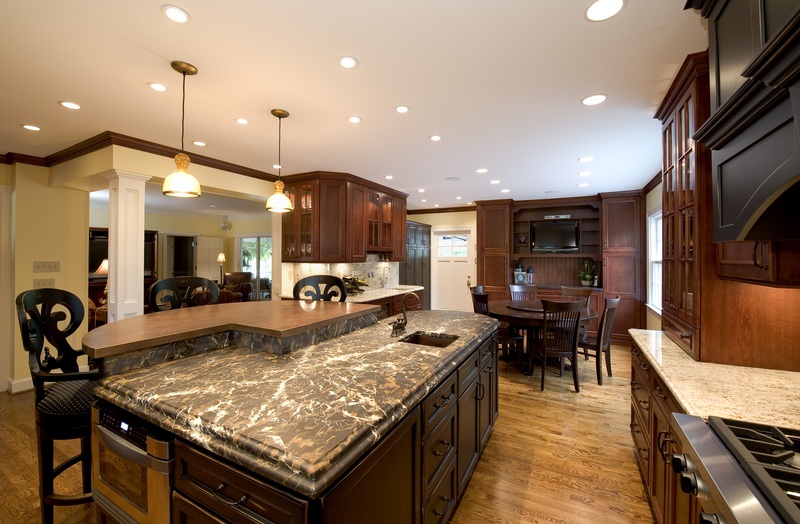 Aside from layout and size, custom cabinets can be designed to fit any look or home design. 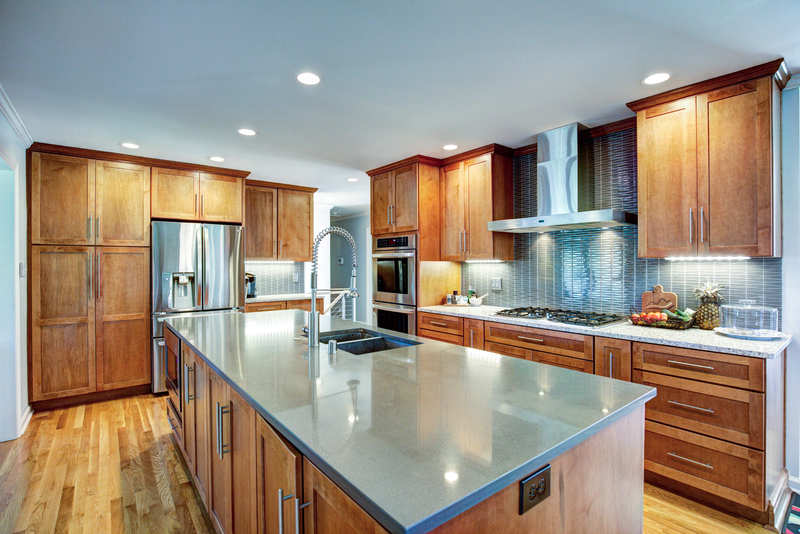 If you have the means and want a truly one-of-a-kind kitchen, custom cabinets may be right for you. Regardless of what style you prefer, quality should always be an utmost concern. Hinges, doors, drawer fronts, drawer systems, frames, and finishes all come in a variety of options and levels of quality, meaning some are better constructed and more long-lasting than others. Many cabinets come with warranties, and you should aim to buy cabinets with at least a five-year warranty, unless your custom cabinets don’t offer such warranties. Quality materials are important, but many homeowners only care about one thing: style. The style of the doors, the construction, the molding along the top of their cabinets, the hardware, etc., are practically endless, especially when you consider custom cabinets. Traditional cabinets are constructed with a front frame around the cabinet opening then the door is attached to the frame. On the other hand, European-style and contemporary cabinets have no front frame, and the door attaches directly to the side of the cabinet, which gives the homeowner the ability to reach into the interior of the cabinet, unencumbered by a front frame. Carefully considering your cabinet doors’ styles and swinging directions is key to designing your kitchen. Shaker style doors are perfect for almost any home, and flatter style doors are better suited for modern homes, but they can also be used elsewhere to good effect. Aside from wood doors and fronts, metal and glass options are also available and can give a home a more open air feel or industrial look. The direction the cabinet door swings can be altered to suit the layout of your kitchen by making them flip-up, pocket doors, or corner drawers, as opposed to swing out, to maximize function and utilize your space more efficiently. In recent years, hidden functions have become an integral part of the cabinetry zeitgeist. Drawers that pullout with racks for pots, pans, and mixers, oversize drawers to fit baking sheets and longer utensils, swiveling baskets, slide-out spice racks, and organization of every form and fashion are options every homeowner has at their disposal. Not only have homeowners become enamored with functionality, but they have found real design importance in the form of hardware, such as handles, drawer pulls, and knobs in all shapes, sizes, finishes, and price points. Designing and installing kitchen cabinets can be a difficult process, but if you follow these helpful tips, you’ll make the right decision for your home. Not only will this guide help, but BACK Construction and our skilled craftsman are only a phone call away. 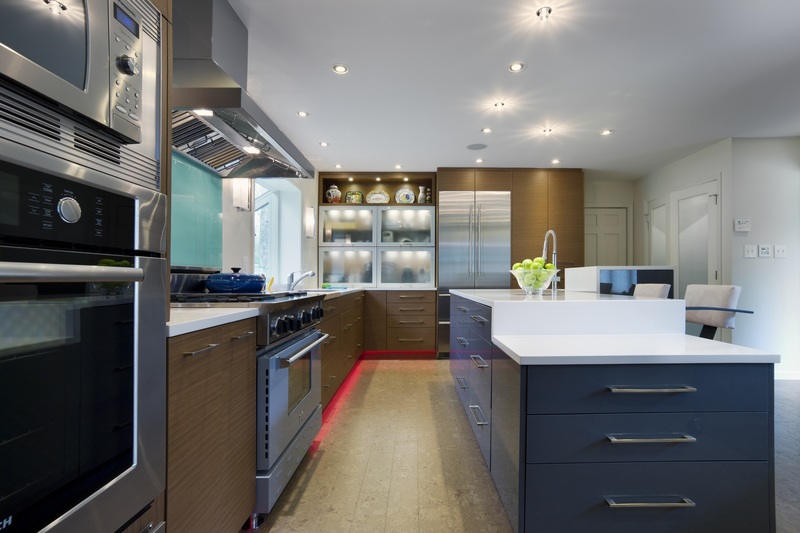 BACK Construction can assist you with all of your questions or concerns about designing and installing kitchen cabinets and can help you with all your renovation needs. Why try to rough it on your own when BACK can have your back? Call BACK Construction today!